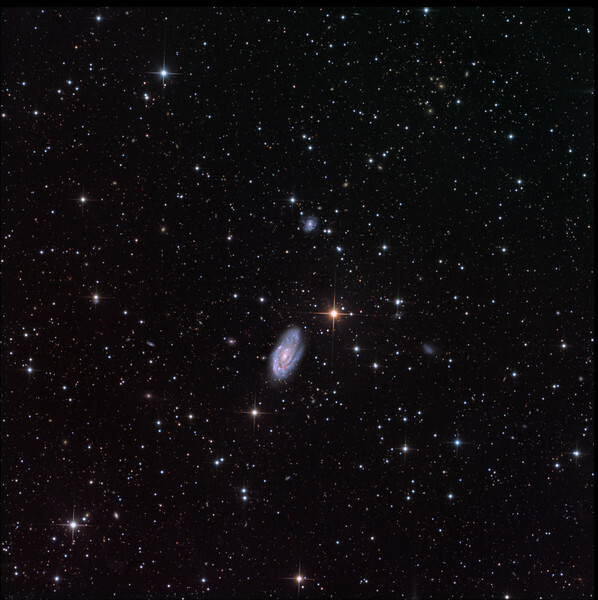 NGC 7205 in Indus, and at well over 180 other galaxies. There appears to be a cluster of orange ellipticals about 70% of the way toward 1 o'clock, and another smaller cluster about 30% of the way toward 9 o'clock. Luminance: 7x1hr subs on a night of exceptional seeing. Colour: 2x1hr subs each R, G, B.
Aspen CG16M on 20" PlaneWave. Processing with our own GoodLook 64.